Hockley, Tomball, Spring, Katy, Waller and Houston. Nationwide Movers will expertly care for all of your belongings right to your new front door in any of the Cypress and Jersey Village area subdivisions, such as: Crossroads Park, Key Clark Estates, Windemere Estates, Chardlais Voss, Chateau Estate, Cline Corner, Coco Estates, Coles Crossing, Coles Village, Coursey Estates, Cypress Farms, Cypress Hollow Estates, Cypresswood Estates, Eagen States and Elwood Steinhagen. Children will get an excellent education through Cypress-Fairbanks Independent School District. Adults can further their education by attending Lone Star College-Cy-Fair. Residents of the Cypress and Jersey village areas and have all of their travel needs met by George Bush Intercontinental Airport (IAH) which is only 22-32 miles away and Houston Hobby Airport which is only 28-38 miles away. Shopping in Conroe will satisfy even the most discerning of consumers. Indulge your inner shopper at Cypress Outlet Mall and Willowbrook Mall. Ready for a picnic? 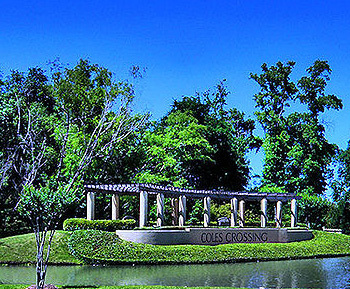 Nationwide Movers, Houston will have all your picnic supplies expertly brought to your new home for your next outing at any of the Cypress and Jersey Village parks, including: Cypress Creek Greenway Project, Cypress Top Historic Park and Oak Hollow Equestrian Park in comparison to any other moving company. Cypress and Jersey Village areas are packed with attractions to thrill the smallest oddler to oldest young at heart, such as: Tin Hall, The Berry Center, Longwood Golf Club, Blackhorse Golf Course, Hearthstone Country Club, Hot Wells Shooting Range and Sam Houston Raceway. Cypress and Jersey Village are home to some great events, including: Cy-Fest A Taste of Louisiana, NAM’s Art for the Hungry, Avon Walk for Breast Cancer, Worship Arts Fest, Reach Springfest, Cy-Fair Home & Garden Show and National High School Slam Dunk & 3-Point Championships. Cypress and Jersey Village are waiting to welcome you home. Nationwide Movers is ready to get you there.